Not all kitchen floors are created equal. As much as we’d like every floor to have exceptional durability, a low price tag, superior longevity and sky-high resale value, it just isn’t realistic. 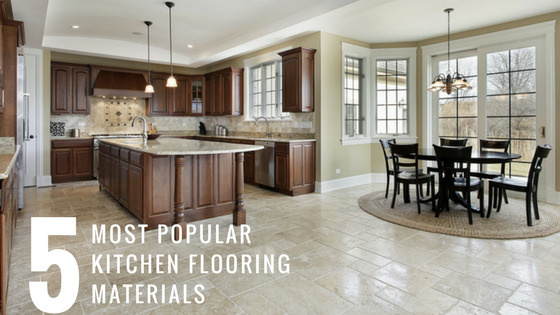 If you’re planning to revamp your kitchen floors, knowing the strengths and weaknesses of hardwood, tile, travertine, laminate, and vinyl is paramount. We weigh the pros and cons of these five common flooring types to help you select the right option for your lifestyle. Cleaner hardwood styles can blend in well with modern and contemporary designs. Woods with knots, grains, and hand-scraped textures have strong character. They can restore a home’s original charm when you’re renovating a fixer-upper.